Some word processor apps are built with a compatibility with DOC and DOCX files. This allows you to open DOC or DOCX files without using Microsoft Word. Speaking of DOCX, it is a new standard document format of Microsoft Office. DOCX was firstly introduced in 2007 along with the release of Microsoft Office 2007. Unlike DOC which stores document data in a single binary file, DOCX stores documents as a collection of separate files and folders in a compressed ZIP package. A DOCX file contains XML files and three folders (docProps, _rels and word) which hold the document properties, content, and relationships between the files. To explore the contents of a DOCX file, you can rename it and change the extension from .docx to .zip then unzip the zipped file using any unzipper tool. Since DOCX is a default document format of Microsoft Word so theoretically you need Microsoft Word as well to open one. However, as mentioned earlier, some word processor apps are built with a compatibility with Microsoft Word, allowing you to open DOCX files. Here are how to open DOCX files without Microsoft Word. LibreOffice is often considered as one of the best free alternatives to Microsoft Office. It is a cross-platform free and open office suite. One of the apps on the LibreOffice package is LibreOffice Writer, which is aimed at replacing Microsoft Word. LibreOffice Writer comes with the compatibility with Microsoft Word. It is capable of opening as well as editing DOCX files. 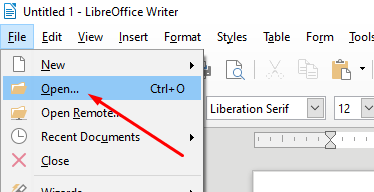 To open a DOCX file in LibreOffice Writer, simply go to File -> Open and select the DOCX file you want to open. You can download the binary file of LibreOffice on its official website. OnlyOffice Editors is another office suite alternative to Microsoft Office. It also contains a word processor with a compatibility with Microsoft Office. The good thing about OnlyOffice Editors is that it comes with a tabbed interface, allowing you to open multiple word files in a single window. OnlyOffice Editors is also a cross-platform office suite, available for Windows, Mac and Linux. 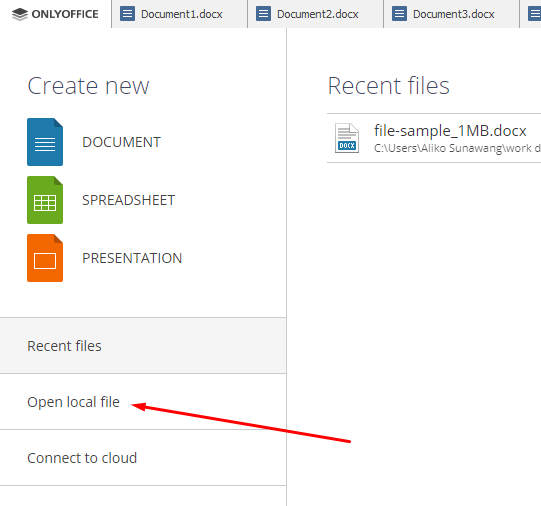 To open a DOCX file using OnlyOffice Editors, launch the app on your computer. Once the app opens, click Open local file and select the DOCX file you want to open. 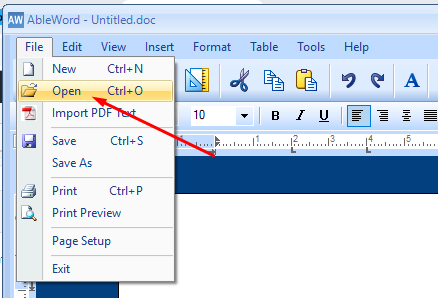 To open a new document or create a new one, you can click the OnlyOffice icon the title bar. OnlyOffice Editors itself is basically a cloud based office suite, much like Office 365. It is built with a collaboration in mind. However, the desktop version is also available. You can download the binary file of the desktop version of OnlyOffice Editors on its official site. 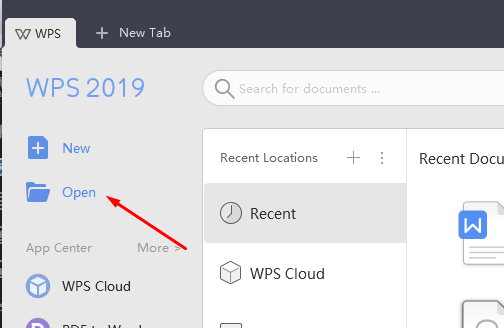 You can also use WPS Office to open document files created with Microsoft Word. WPS Office itself is an office suite consisting of three main applications: word processor, presentation maker and spreadsheet processor. WPS Office is also available for Windows, Linux and Mac. It also has a tabbed interface like OnlyOffice Editors to allow you open multiple document files in a single window. The word processor of WPS Office also has a compatibility with Microsoft Word. To open a DOCX file using WPS Office, launch this app on your computer. Once the app opens, click the Open button and select the DOCX file you want to open. To open more documents, you can click the go to Menu -> File -> Open or simply click the folder icon on the toolbar. AbleWord is a simple word processor. Unlike three first tools above, AbleWord is a standalone app. It has a pretty simple interface that will remind you to the interface of old Microsoft Word. Even so, AbleWord is also capable of opening and editing DOCX files. AbleWord itself is only available for Windows. 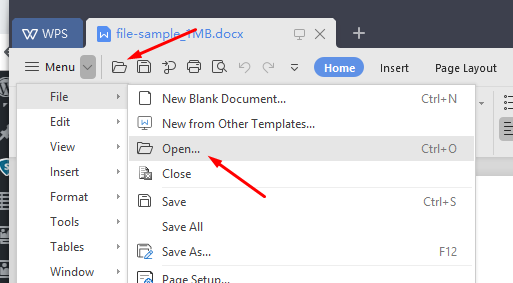 To open a DOCX file using AbleWord, launch the app on your computer and go to File -> Open or click the folder icon the toolbar. Microsoft Word is a popular word processor software. The vast majority of computer users — Windows users in particular — use it to work on document files. If you are not a Microsoft Word user and need to open a DOCX file, there are some tools which you can use, as we have mentioned above. 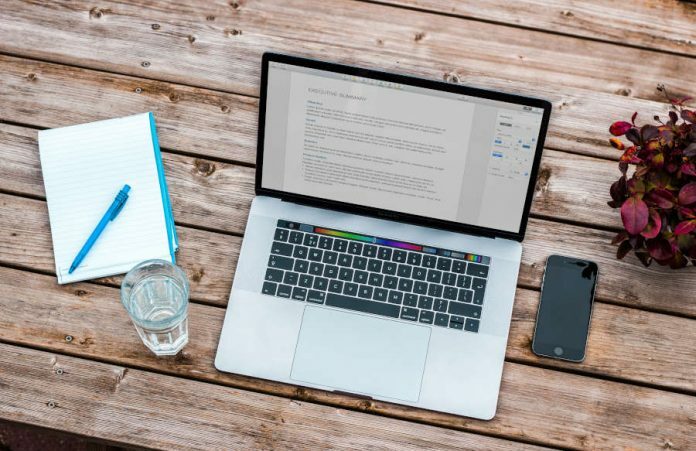 If you are unwilling to install a new app on your computer, online word processors like Google Docs and Zoho Docs are also capable of opening as well as editing DOCX files.